Not exactly; ‘social media’ is the past, the present and the future of marketing! What I mean is that social marketing really is nothing new; what’s changing is the mediums in which it occurs and our ability to engage with these mediums. Before mass marketing, how did most people decide which products and services to buy? Simple, just ask a friend. People’s purchasing decisions were based on recommendations from trusted sources rather than direct appeals from the businesses themselves. Ask anyone in sales what their best leads have been and their answer will be ‘referrals’ every time. The reason for this is that the hard work of earning customer trust has already been done for you; the customer trusts their friend and therefore already trusts your business. So, if the majority of leads coming into your business are referrals from people endorsing your product, the effect on your bottom line is going to be substantial. Referrals have the best conversion rate of all enquiries because the ground work has already been done for you. They’re basically already sold, and this is the whole theory behind a solid social media strategy; taking the power of word of mouth and multiplying it. The idea behind creating a social media presence on mediums like Facebook is that it gives your customers the ability (and hopefully, the desire!) to recommend your business to their family, peers and friends alike with the click of a button. In this sense, you don’t have to wait for a person to ask their friend to recommend a certain product or service; they’ve already Liked you on Facebook or linked to your blog or Twitter. The potential customer has already seen the referral through their online networks without needing to ask for it. A full page press ad or billboard sign just doesn’t have the same audience pull it used to; and it’s entirely a one-way communication with your potential clients. Social media marketing is interactive and powerful. You can answer customer questions and concerns in a transparent and positive way. You can build trust and create raving ‘fans’ for your business that will promote you within their networks. 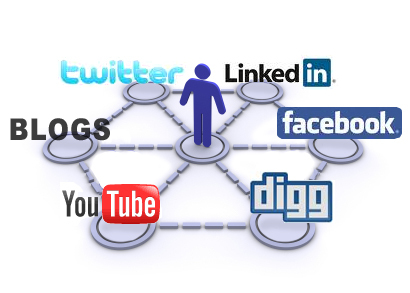 With the arrival of the internet and online social media, that’s a lot of people and some serious word of mouth. It’s with this in mind that we have launched The Marketing Mix social media platform for our clients. We’re not going to tell you to get on every available social media site; we’re going to work out a package to tailor to your businesses specific needs in this emerging market place. *this letter was sent to all The Marketing Mix clients on behalf of Executive Director Chris McCarthy. If you have any questions regarding social media marketing, give The Marketing Mix office a call on (08) 9204 3111 during business hours and they’ll be happy to help.